The name of this recipe may seem daunting, but the preparation is anything but. The grilled radicchio gives this dish a pleasant crunch, while the crispy prosciutto and burnt onion sauce offer a nice, savory bite. Developed by Chef Vinny Dotolo of Animal, Son of a Gun and Trois Mec, this side plate is great for dinner parties or simply pairing with your favorite Italian meal. Every food and wine lover will appreciate pairing the crispy prosciutto with their favorite red wine, such as a soft, yet bold Pinot Noir. On a large ungreased baking sheet, spread onion rings in an even, thin layer; broil until edges are very charred, removing pieces as they are done, 10-15 minutes. Place onions in a blender; add garlic, sugar, mustard, onion powder, vinegar, mayonnaise and egg; whirl until smooth. Set aside. Heat a grill pan over medium-high heat. Brush radicchio with oil. Grill on each side until wilted and grill marks appear. Cut into 1-inch wide pieces. In a nonstick skillet over medium heat, fry Prosciutto slices until crispy, turning once. To serve, drizzle 4 serving plates with reserved mustard sauce. 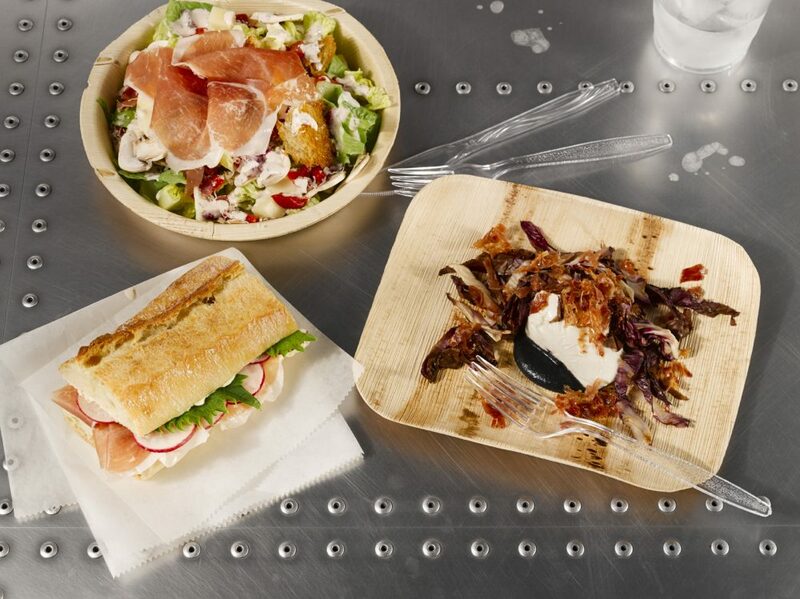 Divide bocconcini and radicchio among plates; crumble prosciutto over each.